Please note, the floating version is elevated, so if you use it in game your sim will likely hover over the ground. 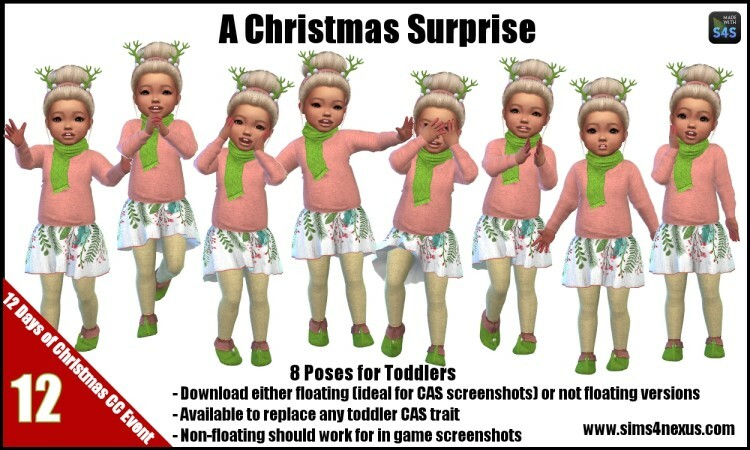 I prefer an elevated toddler for CAS screenshots, so I suggest this for CAS. The non-floating version is also for CAS, but if you want to use one in game (in front of the Christmas tree perhaps) use the non-floating version. Enjoy! This beautiful model is named Nexie Moon, ilovesaramoonkids created her and named her after this web site! Thank you so much, she is such a cutie!! You can download her here!